Whether you're packing a picnic lunch or pulling together a quick meal after a day in the sun, a wholesome sandwich always hits the spot. You can make your sandwiches lighter and more nutritious this summer with ingredients like fresh tomato, goat cheese or grilled chicken. 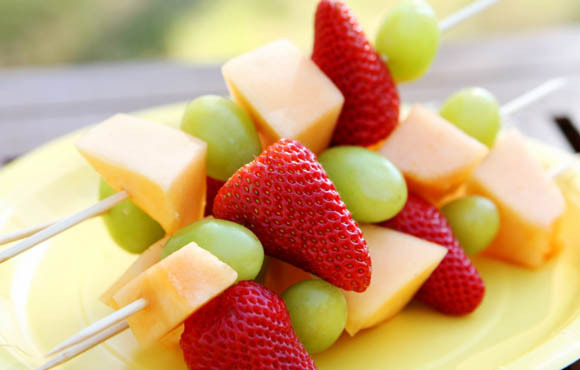 Try these refreshing sandwiches that will fuel your family's fun without weighing you down! 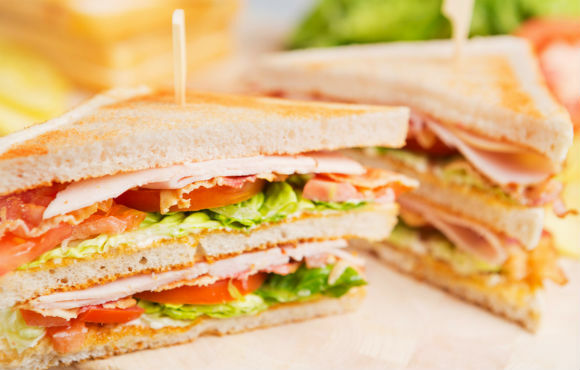 When you think about filling and nutritious sandwiches, the classic California Club usually comes to mind! Make your own restaurant-quality club sandwich at home with fun ingredients like goat cheese and alfalfa sprouts. This recipe makes two sandwiches. For each sandwich, spread each slice of bread with mustard. Place half of the cucumber, avocado, roasted pepper, cheese and sprouts on one slice of bread. Close sandwiches with the other slice of bread. 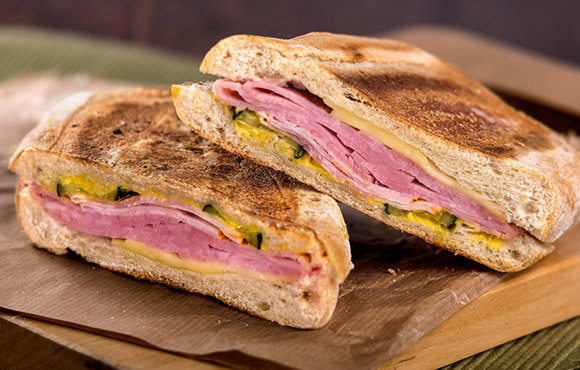 This recipe simplifies the classic Cuban sandwich with tangy mustard and thin-sliced pickles for just a touch of freshness. Preheat a Panini press on medium-high. Spread butter on the outside of the Cuban bread, and spread mustard on the inside of the bread. Place 1 slice of cheese on the inside of each slice of bread. Layer honey ham and capicola on one side of the sandwich. Place dill pickle slices on top of the layers. Place the entire sandwich in the Panini press. Cook through until cheese is melted and sandwich is crispy. Cut sandwich in half when finished. 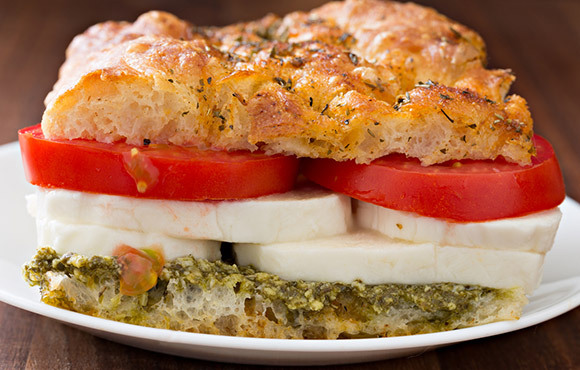 If you love the simplicity of a caprese salad, check out this amazing Italian-inspired sandwich. For the pesto, process parsley, walnuts and garlic until smooth. Add olive oil slowly and process. Transfer to bowl, and add parmesan and season with salt and pepper. Once the pesto is made, slice the bread loaf in half. Add mozzarella slices and tomato along the bottom of the sandwich. Spread parsley pesto on the top of the sandwich and press closed. 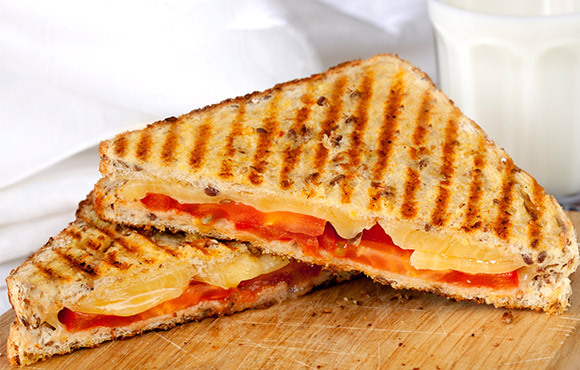 Toast in a Panini machine until cheese is melted and sandwich is crisp. 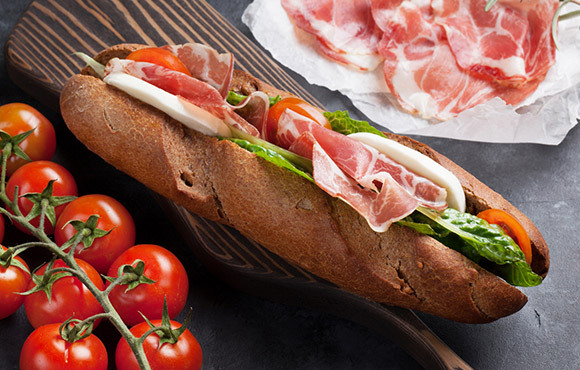 Prosciutto isn't just perfect for snacking; it also makes an amazing and unexpected protein-rich addition to sandwiches. Toast bread. Combine mayo, basil, mustard and garlic. Spread the mixture evenly on one slice of bread. Layer lettuce, tomato and prosciutto over mayo mixture. The crispness of a Reuben sandwich is delicious after a day playing at the park. Substitute turkey for corned beef to make it extra lean! Spread mustard over each bread slice. 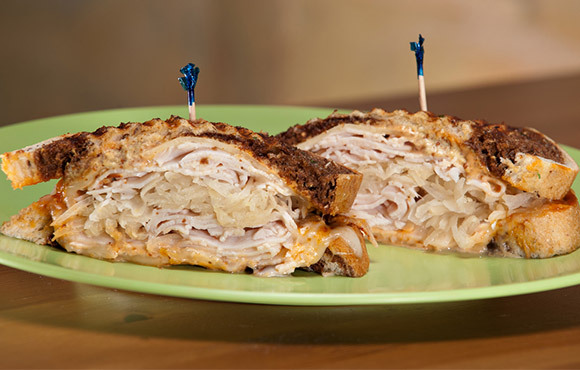 Layer on cheese, turkey, sauerkraut and dressing. Top with the other slice of bread. Heat canola oil in a skillet over medium-high heat. Add the whole sandwich to the pan. Cook for about 3 minutes or until each side is golden brown. Virtually every kid loves the widely acclaimed grilled cheese sandwich. Switch it up with these gourmet additions such as Dijon mustard, olive oil and tomatoes. Combine mayo and mustard in a bowl, adding cheese and pepper until thickened. Spread cheese mixture onto bread and top with tomato slices and remaining bread. Heat oil in a skillet over medium heat. Place sandwich in pan and cook for about 3 minutes until lightly browned. Turn over and cook until lightly browned and cheese is melted. 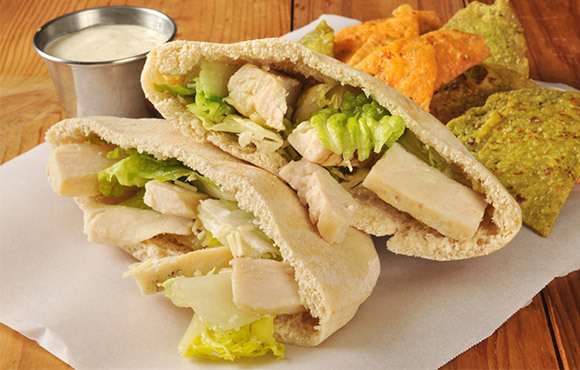 Switch up your regular sandwich routine with pita bread! These handheld pockets filled with protein are a perfect addition to other finger foods this summer. Combine salt, pepper, canola oil and lemon juice in a bowl. Add cabbage, onions and cheese. Toss to combine. Divide chicken among pita halves and spoon the slaw into each half. 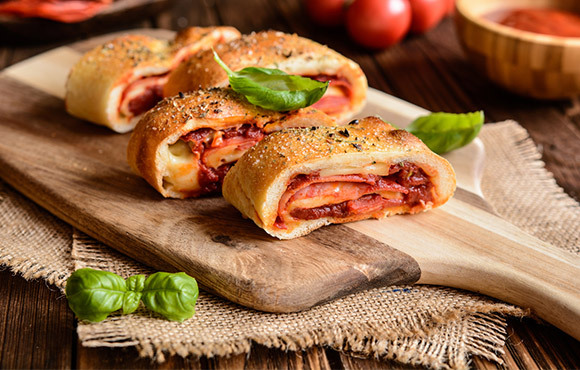 If you love a classic margherita pizza, this melty treat of a sandwich is perfect. Spread marinara over one slice of bread. Top with cheese and tomatoes. Sprinkle with salt and pepper. Top with basil and remaining bread slice. Heat oil on a skillet over medium-low heat. Cook until browned on each side. Serve immediately. 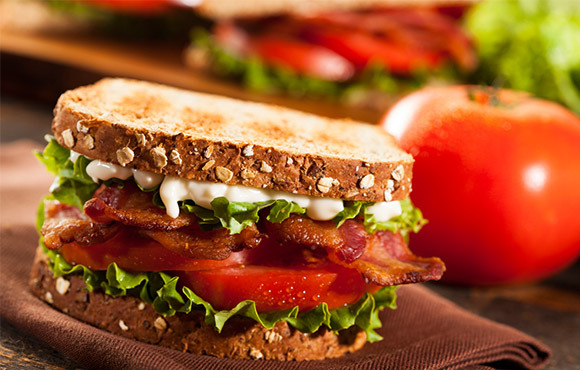 This classic BLT focuses on those perfectly ripe tomatoes that are in-season right now. Take toasted bread and spread mayo on each side. Place sliced tomatoes onto one slice of bread and add salt. Add lettuce and top with slices of bacon. Place other slice of bread on top.